Founded in 2002, the Grant County Friends of the Shelter is a 501(c)3 non-profit organization that that strives to find a home for all the animals in the Grant County Animal Shelter. We accepts donations on behalf of Grant County Animal Shelter and homeless Grant County animals. Virtually 100% of your donation will be used to directly benefit these animals! Donate online using PayPal or with a Debit or Credit Card. You have the option to make your donation a repeating monthly donation. $1.00 minimum donation but every little bit helps! Here are other convenient ways you can support Friends of the Shelter! We can't say that you don't even have to lift a finger — but lifting a finger is all you have to do! No matter where you are or what you're doing — in your pajamas, watching a rerun, eating a midnight snack — just click on the Amazon Wish List link to sign up for an item or two, and voila! You've helped Grant County homeless animals in seconds. Over $9,100,000 raised for great causes since 1997. Over 1,800 Online Stores - including all your favorites! Grant County Friends of the Shelter NPO number: 32105. Does not affect fuel points, etc. The Grant County Animal Shelter is responsible for assisting in the operation of the animal shelter and for the enforcement of animal control ordinances within the jurisdiction of the county and cities of Grant County. Visit Adopt a Pet to see Grant County pets available for adoption. Visit the Pets in Need of Greater Cincinnati website. Find your perfect pet mate through our Match and Meet Program! If there is a particular kind of pet that you are looking for, then Grant County Animal Shelter has the solution or you! 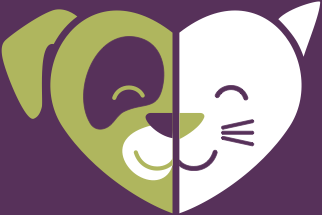 The Match and Meet Program lets you pick the type of cat or dog that you're looking for, and when a pet that matches your wants comes into the shelter you get first dibs! You get the pet of your desire while the shelter staff does all the work — it doesn't get any better! It's so easy to sign up: simply call or stop by the shelter to give us your name with contact number and what you're looking for. That's it! No money is required up front and you are under no obligation to adopt if we don't find the perfect pet for you. Potential adopters are contacted on a first-come, first-serve basis and must be approved, so consider completing the adopter's application ahead of time. We thank you for considering adopting a homeless pet. While you're looking, don't miss these currently available furbabies! Over the years, Friends of the Shelter (FOS) volunteers have worked tirelessly to see to it that more than a thousand free-roaming cats in Grant County have been spayed or neutered, utilizing grant monies awarded to FOS. (County monies are not used for this program.) We have a waiting list of people hoping to utilize the TNR program, and we will continue diligently to seek TNR funds so that these homeless Grant County cats and kittens aren't forced to continue the cycle of misery that overpopulation brings. Such an accomplishment prevents tens of thousands of homeless cats and kittens in the future and untold suffering in the form of disease, hunger, injury, and even torture. Equally important, we have prevented thousands of feral cats from ending up in an animal shelter, where they are extremely unlikely ever to find homes or even enjoy life outside a cage. Approximately one day a month FOS volunteers drive to multiple locations throughout the county to set humane traps for up to 40 cats, then return throughout the day to transport trapped cats to a single location, where they are picked up by Ohio Alleycat Resources (OAR) (or a similar agency). Surgery takes place at OAR the next day, and the following morning the cats, back in their traps, are returned to the central location. Volunteers gather again briefly to distribute and release the cats in the locations where they were trapped. Many folks wonder why the cats are returned, thinking that relocating or even euthanizing them will rid the area of unwanted cats — but it doesn't. Time and time again, agencies and volunteers nationwide have found that removing an existing cat colony is an exercise in futility, as other cats simply move in to the area. However, if the existing colony ceases to reproduce and the colony dies off naturally over a period of time (typically about two years), the area does not tend to repopulate. Contact GCAS at 859-824-9403 if you have or someone you know has free-roaming cats to sign up for the TNR program. TNR is the solution to cat overpopulation — thank you for being part of the solution! Thanks to donations received by Friends of the Grant County Animal Shelter (FOS), in 2012 the Grant County Animal Shelter was able to construct a unique outdoor play area where shelter cats can freely jump and climb a cat post or two, catch a few rays, and socialize with other cats and people. The outdoor playground is fully enclosed, and cats can return indoors at their leisure. Toys and other items change frequently to keep things interesting. Access to a social, sensory-stimulating environment can mean the difference between life and death for a shelter cat. Without satisfying these basic requirements a cat may deteriorate to a feral (untame) state, at which point it is unadoptable and likely to be euthanized. Happy, healthy cats equals more adoptions, which equals fewer homeless pets, which equals less euthanasia. Each of us with FOS appreciates the heartfelt contributions you have made on behalf of these homeless animals. Hand-in-hand with the Grant County Animal Shelter, Friends of the Shelter volunteers are present at adoption events throughout the region. Taking part in these events is a win-win for everyone involved: loving, homeless pets meet their new families; shelter personnel and volunteers alike can rest a little easier knowing that another pet will not have to live out the rest of its life in a cage; and even pets who are not adopted are able to experience the sights, sounds and smells of a bigger world, if only for a few hours. These opportunities are priceless to shelter cats and dogs, and can literally mean the difference between life and death. We will forever remember the FOS volunteers who donate time out of their busy lives to give these pets a chance at life the way it should be. Please contact Grant County Animal Shelter at 859-824-9403 if you are interested in becoming a volunteer. Over the years, Friends of the Shelter (FOS) volunteers have worked tirelessly to see to it that more than a thousand free-roaming cats in Grant County have been spayed or neutered. Such an accomplishment prevents tens of thousands of homeless cats and kittens in the future and untold suffering in the form of disease, hunger, injury, and even torture. Equally important, we have prevented thousands of feral cats from ending up in an animal shelter, where they are extremely unlikely ever to find homes or even enjoy life outside a cage. FOS applied for and was awarded PetSmart Charities grant funding to spay or neuter free-roaming or feral cats and kittens in Grant County. (No county monies are used for this program.) Approximately one day a month FOS volunteers drive to multiple locations throughout the county to set humane traps for up to 40 cats, then return throughout the day to transport trapped cats to a single location, where they are picked up by Ohio Alleycat Resources (OAR). Surgery takes place at OAR the next day, and the following morning the cats, back in their traps, are returned to the central location. Volunteers gather again briefly to distribute and release the cats in the locations where they were trapped. Many folks wonder why the cats are returned, thinking that relocating or even euthanizing them will rid the area of unwanted cats — but it doesn't. Time and time again, agencies and volunteers nationwide have found that removing an existing cat colony is an exercise in futility, as other cats simply move in to the area. However, if the existing colony ceases to reproduce and the colony dies off naturally over a period of time (typically about two years), the area does not tend to repopulate. TNR is the solution to cat overpopulation. We have a waiting list of people hoping to utilize the TNR program, and we will continue diligently to seek TNR funds so that these homeless Grant County cats and kittens aren't forced to continue the cycle of misery that overpopulation brings. Anyone who has visited an animal shelter has seen the cold concrete floors of the dog kennels, the type of surface necessary to keep the area clean. Thanks to funds provided by Friends of the Grant County Animal Shelter (FOS), GCAS dogs now have a dry, flexible bed on which to rest off the floor in the form of a Karunda Bed. The benefits of adding these beds are clear: no longer does a dog have to stay on a cold floor through the winter, a dog can find a dry surface despite a wet floor, and arthritic dogs have a forgiving surface on which to lay and an easier time standing up. All this adds up to healthier, more comfortable pets, which means they are more likely to be adopted and less likely to stay in the shelter. Because of the generosity of people such as yourself, FOS is able to improve the lives of these homeless pets. We thank you from the bottom of our hearts. On June 10, 2014, the Board of Directors of Friends of the Grant County Animal Shelter (FOS) voted to expend the $5000 needed by Grant County Animal Shelter to complete its new Meet-N-Greet Room. This one-on-one, no-pressure environment allows both pet and adopter to comfortably interact and bond with one another without the distractions of other animals or despite inclement weather. Prior to the official creation of Friends of the Shelter charity in January 2004, our county's shelter housing consisted of a single small building and only four dog runs, and no accommodations for cats. Through the generosity of caring individuals and careful management of donated funds, FOS has been able to supply funding for the construction of additional buildings over the years on the GCAS campus — escaping euthanasia and finding permanent homes for thousands of otherwise homeless cats, dogs, puppies, and kittens. So much thanks goes out to those who have donated to FOS over the years. We literally could not have done it without you! Specifically, in Grant County, Kentucky, that year, 528 dogs entered the shelter. 508 died. Before they died, the animals suffered in appalling conditions. Their “shelter” consisted of only four indoor kennels. Four more were completely outside and open. Often as many as 40 dogs shared the eight runs. Their food was whatever the animal warden, who earned $7.00 an hour, could, literally, scrape up from the damaged bags of dog food, discarded behind local stores. He was trying to care for those 500+ dogs on a budget of $28,000, which included his fulltime salary, his mileage expenses, shelter utilities, and, the largest single item other than salary, euthanasia expenses. Still, the county officials weren’t intentionally being unkind. The county had real pressures on its budget and had no prospect of those pressures easing. Instead, the demands were increasing. The people of this rural Kentucky county, once purely agricultural with tobacco as its cash crop, were and are poor, by census standards. The per capita income in 1999 was $16,776, as compared to $21,587 for the U.S. as a whole. Educational level was and is also below the national level, with, in 2000, only 9.4% of the people with Bachelor’s Degrees or higher, while nationally 24.4% hold those credentials. Moreover, the county experiencing a 10.7% growth rate, far above the state’s 4.1%growth. The people moving in were frequently those displaced, those with few economic means, as land closer to the larger cities became more costly. They arrived needing services. They arrived with animals. In 1997, three Grant Countians heard their county’s horrific statistics on animals sentenced to the shelter. They decided they had to do something. One, the reporter who wrote the quoted article, had become editor of the local newspaper. Another owned a small horse farm, where she was both management and labor, and, thus, familiar with all aspects of animal care. She was also a photographer. The third’s career was as a university professor and administrator. One of her areas had been implementing change in organizations. She’d also been a journalist. With no funds, but with lots of passion, the women decided to use their old skills for a new purpose. They set out to systematically raise awareness about Grant County’s homeless animals’ hopeless situation, convinced that if people knew, they’d care. First the women reached out to the people of the county through periodic, front page, news articles, weekly newspaper features on specific shelter animals, and carefully prepared presentations to local organizations. Then, they talked with the local county officials. Specifically, they presented ideas, proposals, and pleas to the newly elected Grant County Judge – Executive, the chief executive and operating officer of the county. Out of those conversations, a unique partnership developed. The informal group of animal advocates and the county judge-executive and his governing body, known in Kentucky as the fiscal court, worked together to imagine and implement creative ways to improve the unluckiest animals’ conditions and prospects and even to create a 501(c)(3) organization to help. The tiny group of animal advocates formed the Grant County Friends of the Shelter, the 501(c)(3) organization and recruited members, including local opinion leaders. Some of the county’s top-ranking, elected officials even became members. The group did everything they could to promote adoption. So did each new animal care and control officer. With a paid staff of only one full-time and one part-time employee, the Grant County Animal Shelter moved from the 96% euthanasia rate in 1997 to a 50% one in 2003. And, for several stretches of months, thanks to amazing efforts on the part of employees, inmates, and volunteers, no animals were euthanized. And, the animals waiting for homes are reasonably comfortable. Instead of the 1997 shelter with only four indoor runs, the new facility has 34 climate-controlled runs for adult dogs and 26 additional kennels for puppies. This didn’t happen because Grant County became wealthy. In fact, the opposite occurred. The 2008-2009 county budget forced every department, including the shelter, to take a 5% cut, despite astronomically rising costs. Instead, with events and pleading, the Friends of the Shelter raised many of the funds for those improvements. Grant County officials and the Friends of the Shelter’s committed members, also were driven to be creative. • Members of the Friends promote adoption in every way they can imagine. o For ten years, two Friends of the Shelter members have made sure that 260 shelter dogs and cats have their photographs and stories in the newspaper each year. o Each year, a rotating team of Friends members see that 156 other shelter dogs get their 15 minutes of fame on local television. o Other Friends, with lots of help from shelter workers, put ALL shelter animals on Petfinder.com. o Friends’ members spend hours at the shelter each week, bathing animals, socializing them, and making them more adoptable. o When animals don’t seem to be easily adoptable, Friends take many of those animals home and/or to the vet, and, at times, to professional trainers, working with the animals until their odds improve. All this has been done at the volunteers’ own expense. o Friends’ members search for creative ways to place animals. One shelter dog went to a senior care facility. Another, became a working, search and rescue dog for local law enforcement. o Friends’ members take animals to every possible adoption event. o Friend’s members, the shelter staff and a network of volunteers transport Grant County dogs to locations, throughout the United States, where puppies and dogs are scarcer. • After the shelter’s involvement in shutting down a local puppy mill, Colgate Corporation began donating Hill’s Science Diet to feed all shelter animals and continues to do so. • The shelter has a very small budget for labor. That limited the number of animals that could receive adequate care. In 1999, the shelter began arranging for inmates from the local detention center to work there. Each day, six non-violent offenders help with a myriad of shelter duties, nearly cost-free to the county. They clean kennels and feed the animals. Best of all, during those tasks, they spend time with the lonely animals. The inmates also accomplish all the necessary routine maintenance. And, they help ready and load animals for transport to adoption fairs, new homes, and spay-neuter sites. • Still, the inmates’ contribution didn’t stop routine tasks. Extra manpower made it feasible to maintain more space. Then, a twist of fate, in the form of a serious DUI conviction, landed a local, commercial contractor in the detention center. With skilled craftsmen, who also were inmates, that incarcerated contractor built a new shelter building. Since then, inmates have constructed two more shelter buildings. Yet, with all the benefits of using inmate workers, there are limitations, discussed later. • However, no amount of marketing can find enough adopters for all Grant County animals. So, the Friends of the Shelter volunteers, the inmates, and the 3.5 paid staff of the shelter have started an aggressive spay-neuter campaign. The small coalition arranges for Grant County animals to travel to low-cost clinics and to a generously cooperating, traditional veterinary practice not far from the shelter. The animals travel to and from their surgeries in Friends of the Shelter members’ vehicles, in the shelter truck, etc. However, securing transportation, funding for the surgeries, and someone to coordinate the efforts have been the biggest limiting factors on the number of spay-neuters that can be performed. Currently, between 60 and 80 animals are altered each month. Sadly, at least that number is turned away, once the sign-up list is full. • The spay/neuter campaign was helping improve life and cut the birth rates of owned pets, and, thus, limit shelter intake. However, unowned, free-roaming cats were still producing huge numbers of kittens. Those kittens and their parents were problems for many people. And, when animals are problems, they often end up in a shelter to die. In 2010, the Friends of the Shelter received its first grant from PetSmart Charities to trap, neuter (or spay), vaccinate, and return to their “home” locations free-roaming, Grant County cats. Since then nearly 1,500 cats have moved through the trap, neuter, and return (TNR) program. And many feline lives that would’ve ended at the shelter have been saved. The Grant County Friends of the Shelter members have always been willing to give amazing numbers of hours to help the animals. They still are, but they need help. Depending completely on volunteers is limiting. No matter how committed they are, the rest of their lives limit their availability. Another limitation arises because of the use of inmate workers. While they do a wonderful job, they are prisoners and, thus, require an extra amount of supervision. A paid, county-employed, shelter staff member must supervise the inmates at all times. That means that a qualified, paid staff member has to be at the shelter, with the inmates. It also means that the shelter can’t be open to the public when inmates are working. With only 3.5 paid staff the shelter can’t be open enough hours of the week. People who might have adopted give up because of lack of access to the dogs. They go to a source that makes dogs, puppies, cats, and kittens available at more convenient times, a place such as a shopping mall pet store or a parking lot flea market. The Grant County Friends of the Shelter, that shelter’s staff, and Grant County officials have become a team, working to give unlucky pets their chance to go home. That team has worked very, very hard to avoid being forced to euthanize. Still, achieving that goal is a constant struggle. When cold weather comes, people are discard their pets. Those owners say it’s easier and cheaper than caring for their pet. They say they’ll get a new pet in the spring. The same fate happens to hunting dogs, after the hunting season ends. Yet, the shelter goes through heroic measures not to kill. Instead, everyone has scrambles, seeing the specter of euthanasia over their shoulders. Thus, every Friend of the Shelter knows that they aren’t partnering with a no-kill shelter. Instead, they’re working with a shelter trying desperately not to kill. They need help to set an example that not killing can be the standard, not the miracle, in rural Kentucky. Officials from other Kentucky counties say that they’re watching. 1.0 The name of this organization shall be Grant County Friends of the Shelter. The corporation is organized and operated exclusively for charitable purposes. The particular purpose of the organization, as stated in the Articles of Incorporation, is: to assist in the funding of services to animals housed at the Grant County Animal Shelter. No part of the earnings of the organization shall inure to the benefit of, or be distributable to, its members, trustees, officers or other private persons except that the corporation shall be authorized and empowered to pay reasonable compensation for services rendered and to make payments and distributions in furtherance of the purposes set forth in Article II (A) of the Articles of Incorporation. No substantial part of the activities of the organization shall be attempting to influence legislation or participating in any political campaign on behalf of any candidate for public office. • 3.0.5 Oppose cruelty to shelter animals in all forms, before, during, and after their time in the shelter. 3.1 Furthermore, underlying all these goals is the ultimate goal of minimizing and eventually eliminating the need to euthanize Grant County animals just because they are homeless. Per the Articles of Incorporation, a Board of Directors shall govern the business and affairs of the organization. The five members of the initial Board of Directors shall serve until the first annual election of directors and until their successors are elected and qualify. With the elections for the 2011-2012 year, the Board shall increase to consist of seven members. A director may be removed from office by vote of five directors and concurrence by the Grant County Judge/Executive, with or without cause. The Executive Committee, elected from the members of the Board of Directors, includes the following officers: President, First Vice President, Secretary, and Treasurer. This Executive Committee of the Board has the responsibility for the activities and business of the organization. The action of committees and individual officers are subject to review by the Executive Committee. A majority of the Executive Committee may authorize purchases without prior approval of the membership. That authorization may be given in person, verbally during a telephone call, or in writing, either in paper form or by electronic mail. The time and location of the Executive Committee meetings will be determined by the President. The President is the chief officer of the organization. It is his/her responsibility to preside at both the general and Executive Committee meetings. The President is the official spokesperson for dealings outside the organization. The President coordinates the operation of the organization. He/she further appoints committee members and chairpersons. The President is an ex-officio member of every committee and attends committee meetings at his/her discretion. The First Vice President is the chief officer of the organization in the absence of the President. He/she shall be responsible for assisting the President and oversees any special projects as designated by the President. The Secretary is responsible for recording and keeping minutes of all meetings. He/she will conduct correspondence on behalf of the organization. The Treasurer is responsible for all monetary transactions of the organization such as dues, purchases, expenditures, maintaining non-profit organization status, and other financial matters. The Treasurer will also issue financial reports as requested, at a minimum of quarterly, to the Executive Committee. He/she will maintain a permanent ledger and will make organization books available for inspection as requested. Checks or drafts drawn against the organization’s bank account(s) shall be signed by the Treasurer or, if he/she is unavailable, by a member of the Executive Committee authorized by the Treasurer. Elections will be held at the Annual Meeting. The terms of office are one year from the date of installation. In March, the President will appoint a Nominating Committee, subject to confirmation by the Executive Committee. A representative of the Grant County Fiscal Court will serve as an ex-officio member of the Nominating Committee. This committee will choose a slate of Directors and present their names at the Annual Meeting. Nominations from the floor will be accepted at the Annual Meeting. The election of Directors shall be by a majority vote of the members present at the Annual Meeting. Candidates for Director must be members in good standing at the time of their election by the membership. Candidates for director must be a minimum of eighteen (18) years of age and may not be employed by or obtain income through any animal-related occupation which might constitute a conflict of interest. Any elected officer may be removed from office by a unanimous vote of the remaining members of the Executive Committee, subject to ratification by a majority of those members present at the next Annual meeting. The Executive Committee will then elect a successor to fill the vacant office. This election is subject to confirmation by a majority vote of members present at the next Annual meeting. Appointed officials may be removed by a majority vote of the Executive Committee. Such action shall not need ratification by the general membership. Membership is open to anyone interested in furthering the purpose and goals of this organization. Each new member, upon joining the organization and paying dues, shall receive a copy of the bylaws and any rules and regulations in effect, and, by joining, shall agree to abide by said bylaws and rules. Dues are set by the Executive Committee, as defined herein, and changes may be recommended by a majority vote of that body. Before a dues change takes effect, the recommendation of the Executive Committee must be ratified by a majority of the membership present at the Annual Meeting. A member is considered “in good standing” when his/her annual dues are paid. Dues are $10.00 per year and are due on the date of the Annual Meeting each year. Any member not in good standing will be removed from the roster and will lose his/her voting privileges and any other organization-related privileges. A member who, in the judgment of a majority of the Executive Committee, does not represent the best interests of the organization may be removed from the membership only if (a) the member is notified in writing of the intent to remove, and (b) the member shall be given the opportunity to respond, within 14 days, to the charges resulting in the action to terminate membership. The Annual Meeting shall be held at 7:00 pm. on the first Tuesday in June at the Grant County Courthouse or other place in Grant County, Kentucky, as determined by the President. Its purpose shall be electing officers and conducting any other business that may arise. The Executive Committee conducts the business of the organization. Executive Committee decisions not covered in these bylaws are final unless overturned by a petition signed by 51% of the members. The Executive Committee shall meet, at least, once a quarter. A majority of the Executive Committee must vote in agreement before a decision is valid. Each member shall have one (1) vote. No proxy votes shall be allowed. Any member may attend the Executive Committee meetings. Robert’s Rules of Order, Revised, shall prevail for motions and order of procedure not covered in these bylaws. 7.0 Ad Hoc Committees will be formed as needed by the President or Executive Committee. 8.0 The bylaws shall be adopted and amended by the Directors from time to time as deemed appropriate and needful. Any member may propose changes to the bylaws by presenting a proposal to the Executive Committee. The Board of Directors shall review the proposed changes and, if approved by that body, the proposed revisions to the bylaws will be presented at the next Annual Meeting. The Corporation shall indemnify every person who is or was a Director, officer or employee of the Corporation, or who is serving at its request as a Director, officer, or employee of any other corporation, against reasonable expenses, including attorney’s fees and disbursements, judgments, decrees, fines, penalties and amounts paid in settlement in connection with any pending or threatened claim, action, suit or proceeding (civil, criminal, administrative or investigative) in which he or she may be involved or threatened to be involved, as a party or otherwise by reason of being or having been such Director, officer or employee, provided a determination is made in the manner provided in Article 9.1 that such person: (a) was not negligent or guilty of misconduct in the performance of his or her duty to the Corporation; (b) acted in good faith in what he or she reasonably believed to be the best interests of such corporation; and (c) in any matter the subject of a criminal action, suit or proceeding, had no reasonable cause to believe that his or her conduct was unlawful. The determination as to Article 9.1 may be made by an adjudication of a court of competent jurisdiction. All determinations, except those made by a prior adjudication, shall be made by independent legal counsel as a written opinion. The determination of a claim, action, suit or proceeding by judgment, settlement, conviction or upon a plea of guilty or of nolo contender or its equivalent shall not of itself create a presumption that the Director, officer or employee was negligent or guilty of misconduct in the performance of his or her duty to the Corporation of which he or she is or was a Director, officer or employee; did not act in good faith in what he or she reasonably believed to be the best interests of such corporation; or, in any matter the subject of a criminal action, suit or proceeding, had no reasonable cause to believe that his or her conduct was unlawful. The rights of indemnification provided hereunder shall not be deemed exclusive of other rights to which any such Director, officer or employee now or hereafter may be entitled, shall continue as to a person who has ceased to be a Director, officer or employee, and shall inure to the benefit of such person’s heirs and legal representatives. The Corporation, by authorization of the Board of Directors, may purchase and maintain insurance on behalf of any person who is or was a Director, officer or employee of the Corporation, or who is serving at its request as a Director, officer or employee of any other corporation, against any liability asserted against him or her and incurred by him or her in such capacity, or arising out of his or her status as such, whether or not the Corporation would have the power to indemnify him or her against such liability under this Article. Subject to the limitations provided in this article, it is the intention of this article to give the Directors, officers and employees the maximum indemnification permitted under the law of the State of Kentucky as it now exists or exists in the future. If any provision or portion thereof of this Article shall be found, in any action, suit, or proceeding, to be invalid or ineffective, the validity and effect of the remaining parts shall not be affected. 10.0 All assets remaining after dissolution of the organization shall be donated to an organization which focuses on animal welfare and operates under section 501(c)(3) of the IRS Code of 1954, with the request that the funds be used for the benefit of the animals at the Grant County Animal Shelter. 11.0 These bylaws shall supersede and replace any previous governance documents or revisions thereof of the Friends of the Shelter, Inc.